One of the most satisfying jokes in Solo is Imperial recruitment officer Drawd Munbrin (Andrew Woodall) saying assuringly to his newly approved cadet "Good luck Han Solo, we'll have you flying in no time". We then cut to an exterior battle-scene on another planet - day or night, it's hard to tell - and join who we'll find out is Han Solo, hurtling briefly through the air before unceremoniously landing in a welter of mud, sweat and shrapnel. And as Han picks himself up, concentration struggling against the noise and confusion which surrounds him, I thought 'is this the first time we've seen this?'. Is this the first time we've seen the unrestrained chaos of actual 'war' in Star Wars? There have been plenty of battles of course, but they've been relatively short-lived confrontations and with a clear victor at the end. The previous movies' set-pieces tend to show one party arriving on-planet with the intention of destroying the other (Hoth, Endor, Naboo, Geonosis, Scarif, two Death Stars), and are settled (more or less) within the confines of that film. But with Solo we're dropped onto Mimban in the middle of a prolonged onslaught, as Imperial forces struggle to subdue the indigenous resistance fighters of a planet that the Empire are mining to death. There's no easily attainable objective for either side, no shortcuts in the meanwhile, and Han does the sensible thing of getting out while he's still alive. We leave Mimban as we found it, no closer to a conclusion but for the dwindling body-count on both sides. Even back in the animated Clone Wars series where we dotted around the galaxy's conflict hotspots, the location was acting as a pivotal point in the overall war (or that planet's role in it) or being used as a backdrop while something happened as an aside to it all. The closest we've ever come to witnessing a miserable, protracted assault was Clone Wars Season 4's 'Umbara' story-arc, where the Besalisk Jedi, General Krell, went a bit Colonel Kurtz and the story played out as an homage to Francis Ford Coppola's seminal war film. But Mimban. The fire, the screaming, the mud of a thoroughly destroyed landscape. The dug-in trenches which look like they've been there long enough to represent an absolute stalemate in the fight for planetary supremacy. The barely-concealed weariness of brittle commanders attempting to organise cynical troopers, personnel flying through the air, AT-ST walkers using those nimble legs to actually leap across the battlefield. All that's missing in the realism stakes is the blood and bad language you'd expect to find there*1. While video games almost always make for appalling big-screen adaptations, I can't shake the thought that this is what a Star Wars: Battlefront movie could look like. Still at a 12A rating, but with the driving intensity you usually only find when you've got a controller in your hands. Can we have more of this, please..? For some, time will tell. There isn't, and I'll be honest with you, I'm not entirely happy about that. Which I'll admit is something of a small hill to die on, in the current state of Star Wars fandom. …but if you wanted to go round the houses with it, Solo features the voice and mo-cap work of Phoebe Waller-Bridge, who was in 2011's Albert Nobbs with Bronagh Gallagher, who starred in Made In Belfast with Shauna McDonald, who rocked up in 2013's Filth, a movie which also featured Kate Dickie from out of Game Of Thrones, which showcases Gwendoline Christie who appeared in Absolutely Fabulous: The Movie, along with Celia Imrie, who appeared in the TV series Blandings with... Phoebe Waller-Bridge. One of the (many) joys of a new Star Wars movie is the soundtrack, and Solo is no exception. For the most part, Mr. John Powell is on scoring-duties this time around, the anthology movies falling outside of John Williams' remit as composer for the saga-episodes. And as Michael Giacchino demonstrated on the Rogue One soundtrack, this gives the standalone films a sense of their own identity at a fundamental level. 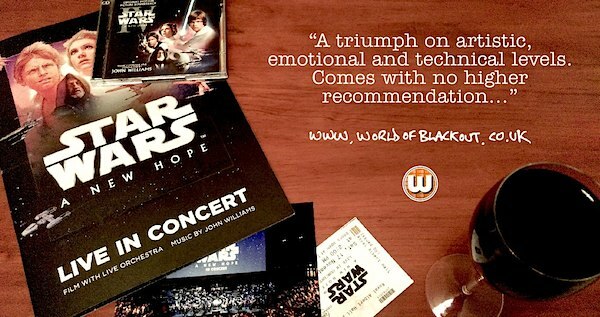 So this score is probably the one I've warmed to soonest in the modern, Disney-era of the franchise, and that includes Williams' own work for The Force Awakens and The Last Jedi. With the numbered episodes, there's the mix of familiar themes and new pieces, which I found particularly jarring with TFA. TLJ fares a little better as a secondary level of callback then comes into play covering Episode VII, and the amount of new material subsides. But I also struggled with Giacchino's Rogue One for a while, as it was stylistically different from what had come before in the GFFA (as was the film). I'd had Rogue One down as a great film score in itself, just not Star Wars. Of course given time, replays both in- and outside of the movie, and the arrival of TLJ, it bedded itself in. But on to Solo. John Williams does return briefly to the fold for track 1 here, The Adventures Of Han Solo, setting the main musical motif for the feature and finally giving Han Solo his own theme after all these years*1. And ironically enough, Powell's arrangement and usage of Han's theme arguably makes for a more Williams-esque soundtrack than the composer's own previous two stints. There's often a sweeping, almost operatic quality than John Snr doesn't seems to want to fully return to just yet. Powell's use of percussion drives the whole thing forward, not just embellishing the more militaristic cues but adding style (and different styles) to the set-pieces. Elsewhere, Solo reminds me of Hans Zimmer's work on the Pirates of the Caribbean movies, dynamic and almost tribal in its execution. Zimmer is also evoked in the second half of track 5, Flying With Chewie (the bit where Han and the air-drying wookiee are talking on the gantry of the Imperial lander as it flies over the surface of the snowy planet Vandor). It's a refreshing change for Star Wars to be this 'casual', and I wish the score came back to it later (maybe next time). And I could be mistaken, but I'm sure I'm getting beats from Kevin Kiner's Clone Wars soundtrack in here, too. In addition to the percussion, Powell's choral cues fit in with Solo's visual aesthetic of the old-time Western. A few 'legacy' themes from the original trilogy are referenced in the score of course, but when they appear they're relatively fleeting and entirely fitting*2. That said, grumbles have been heard at Blackout Towers about the Imperial recruitment holovid which plays in the spaceport on Corellia, using a modified version of the famous Imperial March in its soundtrack. This effectively makes some of the Star Wars music canon within the Star Wars galaxy, which feels a bit odd. Then again, bear in mind that the same thing occurred in Star Wars: Rebels, so this isn't a first*3. The only thing that's missing, from my point of view, is the synth- and guitar-based tracks which were used in the initial trailers. They hinted that the film could possibly sound very different from what had come before, but in the end these were for promotional use only. A damn shame. 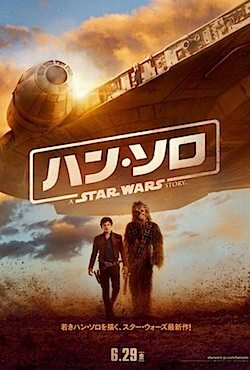 So the short version is (in case you hadn't guessed), Solo has a great soundtrack. One of the smaller points I love is that after the new theme which makes up track 1, it plays out more-or-less in order of the film's story (which happens far less than you'd expect with this sort of thing). That's another little aid to letting a new score bed in, as your memory of the movie can flow in linear order as you work your way through the CD*4. 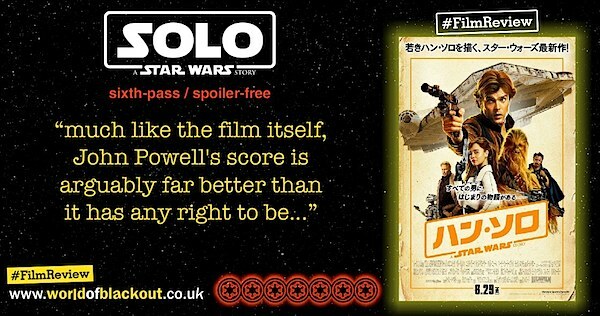 Much like the movie itself, John Powell's score for Solo becomes inherently Star Wars™ because it's not trying too hard to be Star Wars™, and is arguably better than it has any right to be. But the end result is what everyone was hoping for anyway, so it's all good. In some cases, it's entirely possible. No, but it's a film ripe for discussion. …but if you wanted to go round the houses with it, Solo stars Paul Bettany, who was in 2005's Firewall with Harrison Ford from the movie Six Days Seven Nights that also featured Temuera Morrison, a major player in 1994's Once Were Warriors, as was Rena Owen who went on to star in Absolute Killers along with Ed Asner, who performed voice-work in the animated Our Friend Martin, as did Samuel L. Jackson, who starred in Avengers: Age Of Ultron with... Paul Bettany. 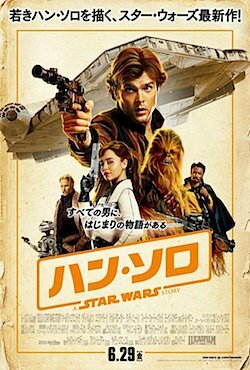 Well, the dust has begun to settle (a week is a long time in cinema) on the anticipated Solo movie and, on the whole, Ron Howard’s return to the Lucasfilm fold has been well-received. 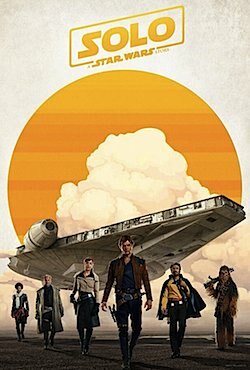 Each piece about the film in the meanwhile seems obliged to mention both its turbulent production history and struggle in the box office stakes (as does this one, now), but for the bums-on-seats, all that matters is the creative quality of the product which follows the iconic words ‘A long time ago, in a galaxy far, far away…’. And against all odds, Howard – or more properly, long-time Star Wars screenwriter Lawrence Kasdan and his son and co-writer Jon – have crafted an incredibly solid addition to the canon. 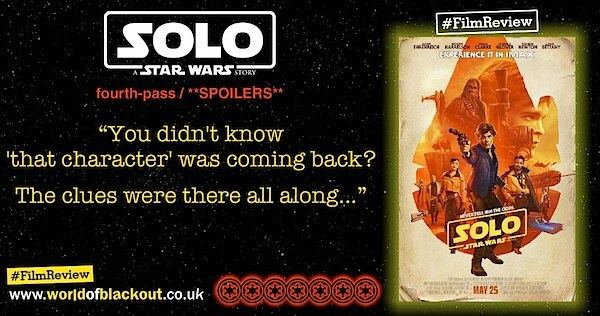 Not only does Solo succeed in inking and colouring the previously sketched backstory of everyone’s favourite Corellian smuggler, it also gently opens a series of other doors, revealing glimpses of the galaxy’s criminal underworld which are just begging to be expanded upon. 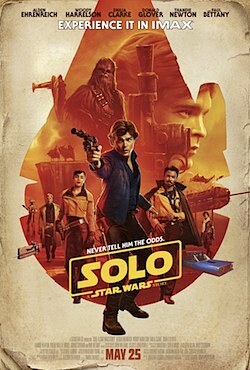 In the long run, this turns out to be the film’s saving grace, not least because Han Solo’s revealed backstory itself is structurally very similar to the Legends tales of the last 40 years; serving in the Imperial forces, rescuing Chewbacca from captivity/servitude and winning the Millennium Falcon from Lando Calrissian in a game of Sabacc. And it’s not that this isn’t all great fun, but long-time Star Wars fans will find few surprises in the newly finalised telling. 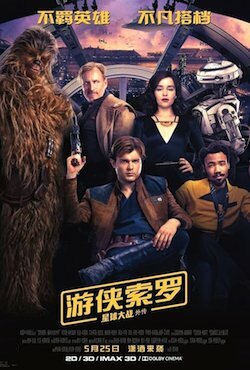 Although it feels like a harsh statement, it’s probably not unfair to say that the Han/Chewie/Lando aspects – while they’re the glue which hold the pieces together – are the film’s least interesting aspects. No, Solo‘s real revelation comes in the form of the Crimson Dawn crime syndicate, ostensibly headed by Paul Bettany’s Dryden Vos, who manages to inject enough venom into his performance that it feels like a spiritual successor to his lead role in 2000’s Gangster No. 1. When we first meet Vos, he’s removing one of his energy-cord daggers from the torso of a regional governor, the Imperial position in which 1977’s Grand Moff Tarkin put so much bureaucratic faith. As the body slumps wordlessly to the floor, we know instantly what level of practical power is wielded by this gangster, as well as his apparent freedom to flaunt it. Bettany’s performance is aided in no small way by Emilia Clarke as Han’s childhood friend (later, love-interest*1) and now Vos’s lieutenant, Qi’ra. The Game Of Thrones mainstay’s portrayal isn’t quite the femme fatale audiences might have been expecting from the character, but nor is it the fierce warrior or wilting wallflower archetype, either. Clarke cuts her own swathe through the GFFA as likeable, but untrustworthy; Qi’ra is sincere in her intent, even though she’s clearly holding something back. And all because Crimson Dawn is only the tip of a galaxy spanning and void-cold criminal iceberg. In Solo, we get the big-screen debut of spice mines of Kessel (last seen in Star Wars: Rebels), now controlled by the Pyke Syndicate (last seen in Star Wars: The Clone Wars). Meanwhile, back at ‘ground level’, the nuts and bolts of outlaw life are carried out by smaller, less formal gangs. The collective we meet first is headed up by Woody Harrelson’s Tobias Beckett, orchestrating a heist of Imperial-owned Coaxium fuel with his demotions-expert and partner, Val (Thandie Newton), and trusty getaway-pilot Rio (voiced by Jon Favreau). Given how quickly Beckett’s team ‘evolves’ when things go south, it’s anyone’s guess as to the volume of previous membership in this band. That the line-up shifts with relatively little fanfare is testament to the ultimate lack of job security in the heisting game (although the phrase ‘a job for life‘ still seems to apply, at any rate). And yet, we still haven’t covered how Alden Ehrenreich plays an interesting and amiable younger Han, by no means delivering an impersonation of Harrison Ford, but keeping enough ticks and mannerisms from the older actor that there’s never any doubt as to who the character is. Donald Glover’s Lando Calrissian is a little more overt in its homage, but then it wouldn’t be Lando any other way. And Joonas Suotamo dons with wookiee-suit for the third time, wearing Chewbacca’s character itself with the same level of practiced ease. It’s remarkable how effortlessly Joonas has become part of the family. Rounding this all out is John Powell’s score (with a helping hand from John Williams, naturally). The pieces are flowing, dynamic and generally a great accompaniment to the action, although Powell’s work really comes into its own when the percussion or choral sections are in-play. More on that in the next review. And at the top of the tree, established all-rounder Ron Howard does an admirable job of keeping the urgently paced set-pieces on track, although it’s clear that his heart is in the action-driven scenes more than their dialogue-heavy counterparts, especially those segments involving chasing-and-racing, where our characters put the pedal to the floor and burn off some of that precious hyperfuel. But most importantly, everything which occurs between the ‘long time ago’ and ‘directed by’ cards feels intrinsically part of the series continuity. Even ‘that‘ holo-moment. In fact, especially that holo-moment, with the threads of different eras and media projects wound together to pull in a new direction. Whether we’ll get a direct sequel to this movie is up for debate; whether we haven’t seen the last of the criminal underbelly in the GFFA is undoubtable. After the high-stakes drama of Rogue One and introspective guilt of The Last Jedi, Solo isn’t an entry in the saga which will be blowing viewers’ minds, which is both its weakness and its key strength. In fact, the film’s overall absence of emotional punch is representative of its eponymous character’s lack of family structure, and his cynical attitude in-the-making. Well there's a subject for debate. Probably not, but I'll talk your ear off about it either way. …but if you wanted to go round the houses with it, Solo stars Thandie Newton, who appeared in Guy Ritchie's RocknRolla as did Geoff Bell, an actor who rolled up in War Horse along with Pip Torrens, who was in 2012's Anna Karenina with Keira Knightley, who was of course in Love, Actually with Liam Neeson, the voice of a lion in 2010's Narnia: Voyage Of The Dawn Treader, a film which featured Simon Pegg who had previously starred in Run Fatboy Run alongside... Thandie Newton. 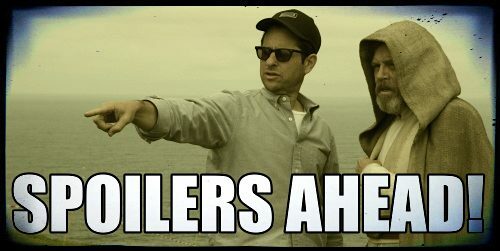 This is your spoiler-break. It's the chunk of text which acts as a buffer so that accidental-clicks or preview-feeders etc don't give away that REDACTED is in this film. Although by the time this review finally goes live (mad few weeks IRL, folks), it'll hardly be a secret, but still. The principle is there. So in this bit I'll just say that the IMAX screen in which I saw Solo for the fourth time was sorely in want of bums-on-seats, although again, this should come as no surprise to anyone at this point. That was disconcerting enough, but the actual projection itself wasn't top-notch either, which in my admittedly limited experience is unheard of with IMAX. Severe ghosting with the 'green' lens (or digital equivalent) on the right-hand side of the screen. I'm used to shoddy projection with RealD screenings, but this ain't on. Obviously I had a word afterwards, but depending on which level of staff you catch in the foyer, you're never quite sure how much further your observation will travel. 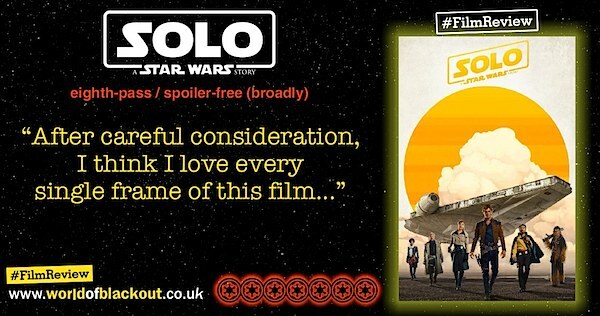 Despite having a largely optimistic lead character for most of its run-time, Solo is a movie of foreshadowing. Some of this is blatant. Tobias Beckett's quiet advice to Han, "...assume everyone will betray you, and you'll never be disappointed", should ring in everyone's ears the next time they watch The Force Awakens, as the Corellian stands on the gantry in Starkiller Base looking at his son for the last time. Other lines are more broad. The opening caption-card, 'It is a lawless time' is an indicator right off the bat that since the Empire are the ones supposedly running the galaxy now, they're still not going to appear in this film too often. And other than the spaceport scene on Corellia (where the troopers are told to back off by Moloch, anyway) and the furry Rangetroopers guarding the Conveyex train on Vandor, the film stays true to that promise. Then, thre's a layer of in-movie, retroactive foreshadowing. When we first re-join Qi'Ra onboard Dryden Vos' pleasure yacht, she's wearing a semi-circular amulet as part of her dress, resembling the bottom half of the Crimson Dawn tattoo adorning her wrist. And when we finally meet the head of that organisation in the movie's final minutes, we see he's wearing one too (although Qi'Ra has removed hers by that point). It's a visual link which only really becomes apparent when the film is watched for a second time. Oh yeah, and Maul. He's back. So I didn't understand, when I read the 2014 comic-series Son Of Dathomir, why the powers-that-be had left the ex-Sith Lord and all-round troublemaker, Maul, surviving. 'Again'. The Zabrak's exit in The Phantom Menace had been fairly definitive ('divisive', even), and while his Season Four return in the Clone Wars series had been oddly compelling, the thought remained that you wouldn't bring a character back from the void like that without planning a really great send-off. And the build-up of the Shadow Collective episodes in Season Five seemed to be heading for just that conclusion. Having Maul building a criminal empire with his brother/apprentice, utilising the Mandalorian Death Watch, the Hutt families, the Pyke Syndicate and Black Sun pulled together a lot of threads, and when Darth Sidious finally snapped and went to sort business out himself, that promised the ultimate smackdown. But Maul wasn't destroyed by Sidious, only captured, and with the line "Do not worry, I'm not going to kill you. I have other uses for you…"
But in 2014 The Clone Wars was cancelled, and the ambiguous thread on which Maul's fate had been left dangling seemed even more ominous. Maybe we'd find out what happened to him, maybe not. Not every question in Star Wars needs to be answered, although most eventually are. But in the Lucasfilm/Disney re-jig - and keeping in mind that The Clone Wars series was to be considered canon in the body of work moving forward, a four-issue comic series, 'Son of Dathomir', was commissioned. It told the story originally intended for the sixth season of the show. In it, Maul is taken to Palpatine's secure prison on Stygeon Prime, where he is used as bait to lure out the Dathomir witch, Mother Talzin, so that Sidious can finally dispose of this matriarchal thorn in his side. But, long-story-short, Maul escapes at the end. 'Again'. So a few years down the line in Star Wars Rebels, we eventually learned the obvious reason why: to be a part of future Star Wars stories of course. But all good (or badass) things must come to an end, and everyone's favourite horny assassin finally met his match with his long-time nemesis, Ben Kenobi (hey, I told you up the top there'd be spoilers. 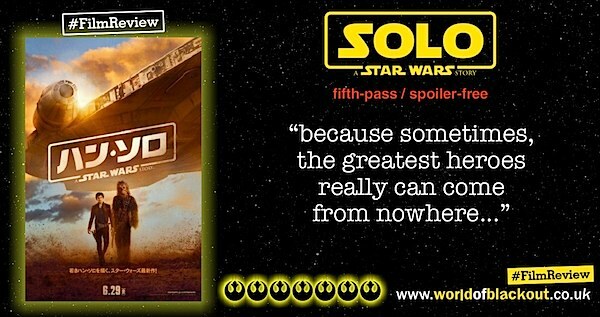 They're just spoilers for 'all' of Star Wars, that's all) on Tatooine. So that was that. Arc closed, circle complete, there goes Maul. Bye mate. 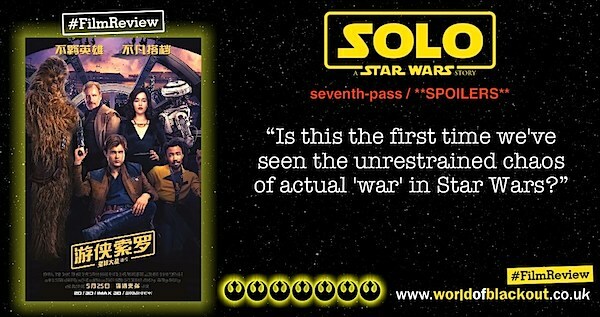 1) One of the first things we see, after the familiar 'A long time ago, in a galaxy far, far away…' card, the next words to appear on-screen are "It is a lawless time". Season 5, Episode 16 of The Clone Wars sees Maul consolidating his criminal power and eventually facing off against the livid Darth Sidious. This episode is titled 'The Lawless'. Given these words at the beginning of Solo and Maul's appearance at the end, his crime syndicate now including (or being spearheaded by) Crimson Dawn, my brain can't think of this as co-incidence. 2) Another linguistic nod comes later in the movie on Kessel. Qi'Ra refers to her (ostensibly fictional) boss as "his eminence". Not a particularly obscure term, but a very specific one nonetheless. Eminence isn't a word which occurs often through Star Wars scripting. But 'Eminence' was the title of Season 5, Episode 14 of The Clone Wars. This is the one where Maul assembles his allied criminal factions into The Shadow Collective, including the Pyke Syndicate. Showing one of the Pykes at the same time as this line is uttered is (in my fan-boy mind) a deliberate clue on the trail to Maul's eventual reveal. 3) Yeah, I wish I could find a direct reference to episode 15 of that season, 'Shades of Reason', the other one covering Maul's rise as a master criminal. But hey - we can't have everything, right? It's entirely possible (probable, even) that these lines would have appeared whoever was going to be in the hologram which Qi'Ra fired up (this was only finalised late in the game). But the fact that they did anyway creates a link. Perhaps a retroactive one, but a link all the same. And that's not to say I second-guessed Maul's appearance. I absolutely didn't. But the words 'Lawless' and 'Eminence' rang bells from my second-pass onwards. On the surface, Solo is a throwaway, star-hopping adventure. Just underneath that, it's a web that links the prequel, original and sequel trilogies, as well as Rogue One, The Clone Wars and Rebels. Well I'd have said no, but I've also read 'mixed reactions' by now so who knows? …I thought I heard a cut-off one during the exterior ground-battle on Kessel. But no, of course I can't be sure. I mean, I've only seen the film four times. …but if you wanted to go round the houses with it, Solo stars Donald Glover, who voiced Miles Morales in episodes of Ultimate Spider-Man, which also featured Tom Kenny who performed in 2015's animated Back To The Jurassic, as did Grey DeLisle, who lent her voice to Transformers: Revenge Of The Fallen, a movie featuring the warblings of one Michael York, who went on to narrate the 2014 Sleeping Beauty which starred Olivia D'Abo, who was in 1994's Clean Slate along with James Earl Jones, who reprises his Mufasa role in the upcoming live-action version of The Lion King, which also features the tones of... Donald Glover.